At AA Safety and Workwear we embrace a simple philosophy: to offer the best products - where possible Australian made - at a competitive price coupled with great customer service. We make sure that you will be satisfied with the safety equipment supplies we provide. We choose only safety equipment and clothing made from the best materials from well known manufacturers that can stand up the rigors of everyday use. AA Safety and Workwear are also proud supporters of the Volunteer Fire Fighters Association. 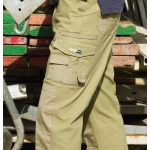 A range of tough durable workwear including shorts, pants, jackets & vests. 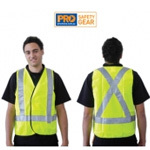 Reflective and high visibilty workwear including vests, overalls and rail compliant jackets. Make safety your first priority with our range of gloves, glasses, respiratory masks helmets and more. We have a range of mens and womens shoes, gumboots and socks. 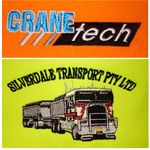 Customise your workwear with embroidery and printing. 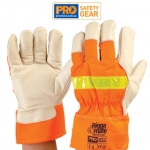 Why Good Safety Equipment and Workwear is important? Protecting you and your staff from accidents is paramount in any business as lost time from a preventable injury costs money. Good quality safety equipment and clothing can help minimise the risk whether you are working in the construction industry, in a trade, road works in a factory or even working in your shed at home. Our safety products include glasses, gloves, helmets, gum boots, hearing protection and respiratory masks and we also have a range of safety signs and barriers. We also offer a wide range work clothing including shorts, pants, shoes and high-vis shirts and overalls.